Each week, millions of English-speaking Christians sing hymns―songs that shape their understanding of and relationship with God. 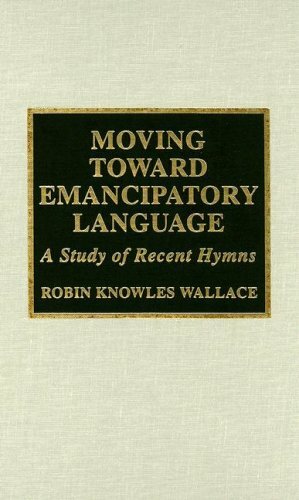 In Moving Toward Emancipatory Language, Robin Knowles Wallace considers the breadth of hymnic language and examines the extent to which that language can reflect contemporary theological concerns. She examines the history of hymns and emancipatory theology, and gives a careful analysis of recent hymns and their emancipatory potential. Wallace provides a balanced account of the intersection of theology, rhetoric, and linguistics in hymn texts, including comments from congregations and worship leaders. An intersection of women's studies, religious studies, and church music history, this work is of interest to teachers and students in those disciplines as well as choir directors, clergy, and congregants.